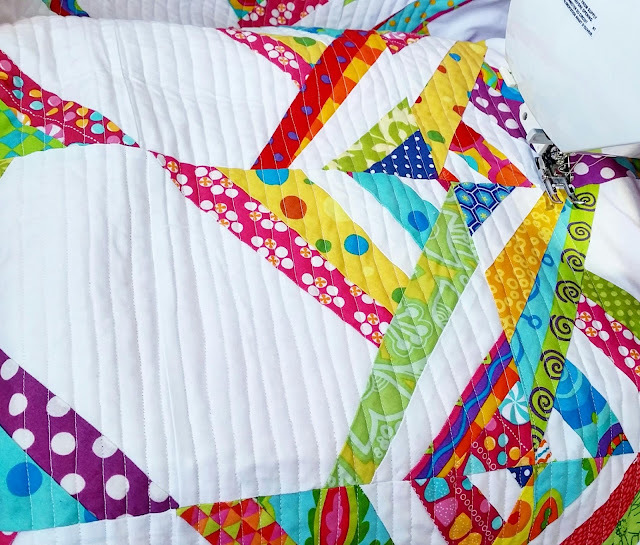 I love the look of straight line quilting but I tend to get bored while I'm doing it... so looks like it's going to be free motion quilting from here on out! Beautiful quilt design! Love the colors, especially for the summer time!